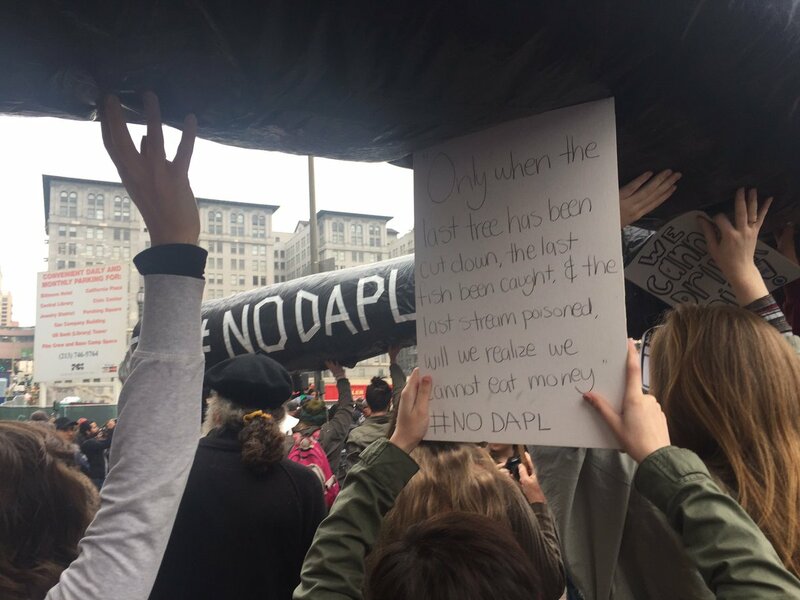 February 5, 2017: Thousands converged on downtown Los Angeles to demonstrate the proposed Dakota Access pipeline, which threatens the water supply and sacred sites of the Standing Rock Sioux Tribe in North Dakota. 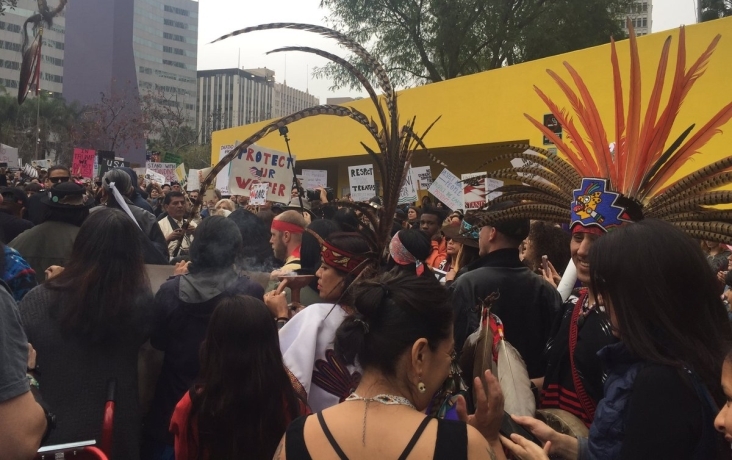 Organizers, gathering at Pershing Square, say this is the first anti-pipeline gathering in Los Angeles since President Trump signed executive orders to fast-track construction of the Keystone XL and Dakota Access pipelines. 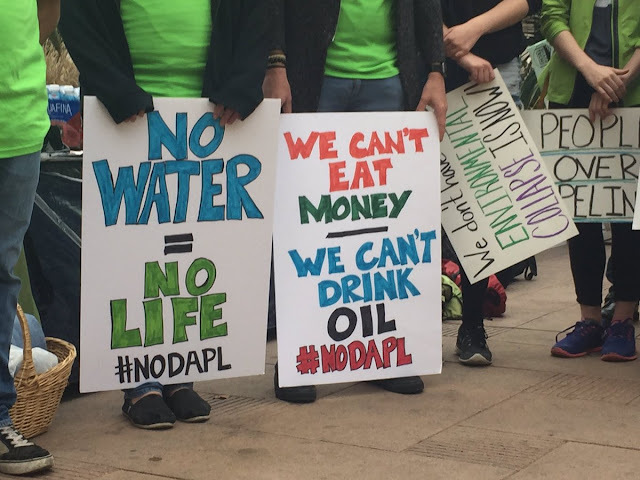 “I haven’t seen this kind of thing before and I’ve been involved in protests since the ‘70s,” said Karen Pomer of Labor for Standing Rock, one of the groups participating in the demonstration. 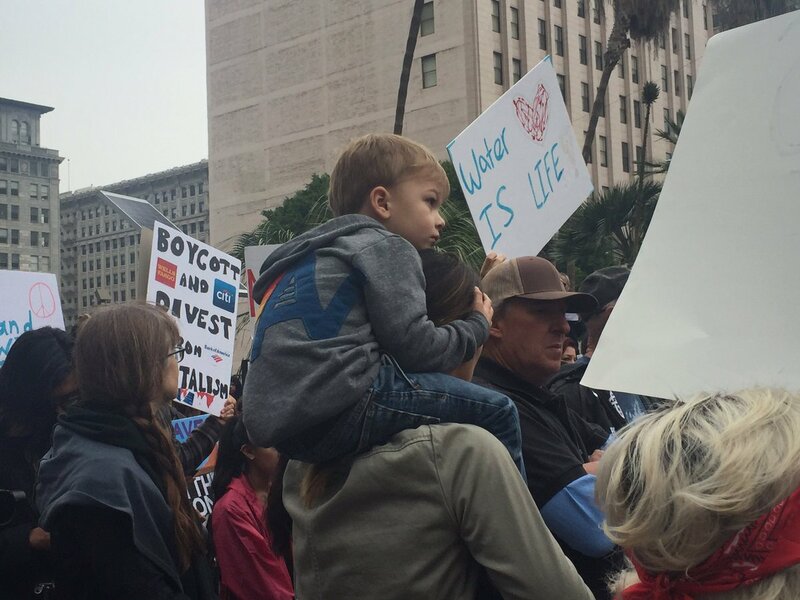 The demonstration was the brainchild of Isaac Price, a web designer in Long Beach who put up a Facebook page after the executive orders were signed. He’d never organized a gathering before, Pomer said. “He thought he would have 150 people with picket signs here, and it’s grown and grown,” said Pomer, who said several thousand people were expected to attend. 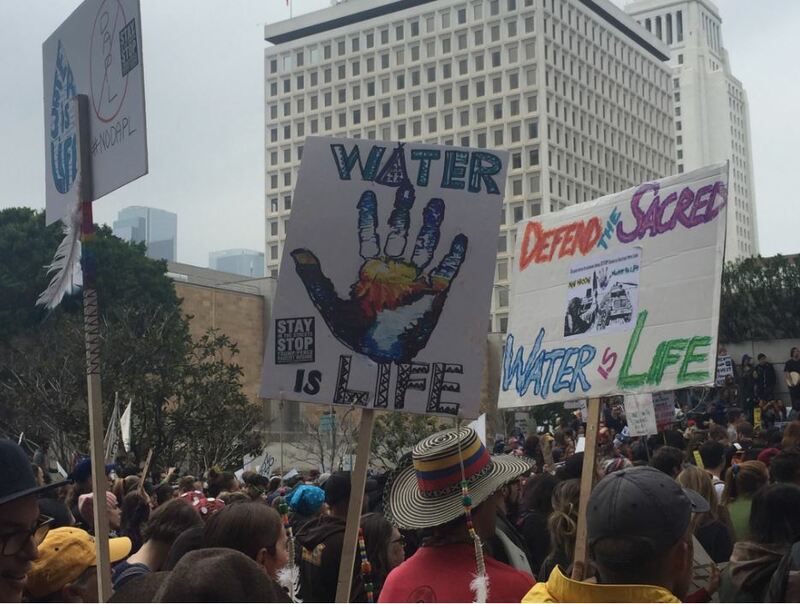 Indigenous, labor, environmental and veterans’ groups are involved in the effort, she added, pointing out that many participants have also been to the site of the Standing Rock protest in North Dakota. 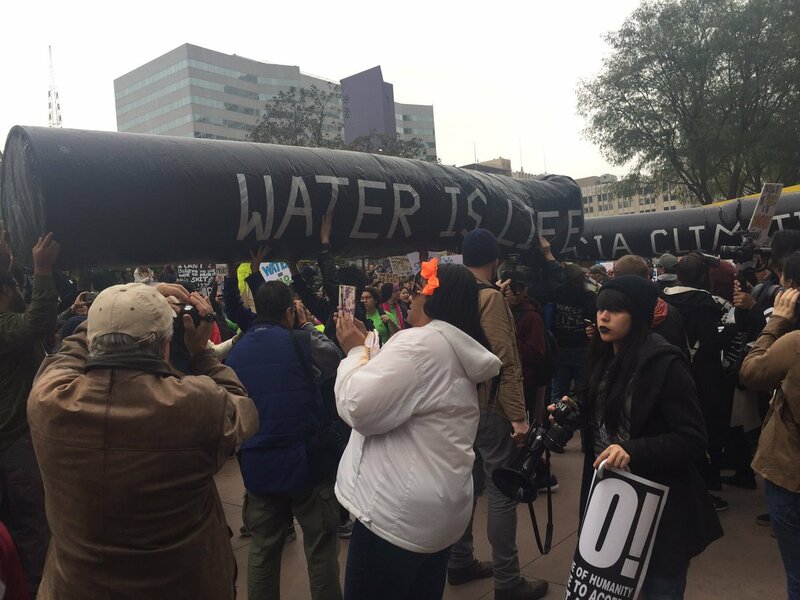 Police say the gathering is peaceful and no disruptions or arrests have been reported. 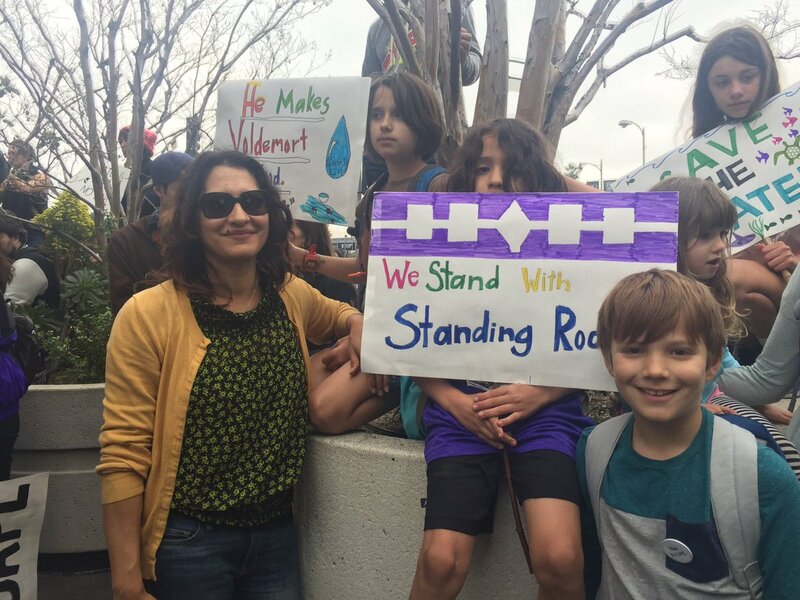 Responses to "Thousands of Water protectors march and rally against oil pipelines in Los Angeles"